For many years people have contemplated the mysteries of what the Giza pyramids and the Sphinx has to offer. No one really knows what it was built for, or why people worked so hard to make such huge structures. Was the Sphinx an animal that existed in that time? No one knows for sure. One thing is for sure though, many people have tried to hinder research, and silence people that make discoveries. These people are called the Supreme Council of Antiquities or the SCA. I know what your thinking, how could anyone cover up such discoveries when they could benefit all of humanity by unraveling the secrets of ancient Egypt, and possibly our origins? The answer is simple. Its because the people in power, that have planted this SCA organization, know the real secrets of ancient Egypt. Sure they can't do much when it comes to hiding these huge structures, but they can skew what people know, and spark debate with religious communities, so that people are left arguing over what the meaning of these wonders are. 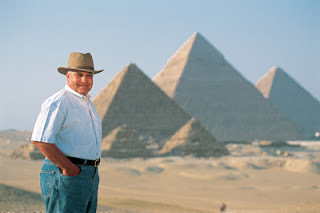 Dr. Zahi Hawass has been on the Supreme Council of Antiquities since 2002. The SCA has setup a system in which Archeologists must report through "the proper channels" when they make any kind of discovery on the Giza plateau. This is much like the Vatican does when it comes to the subject of extra terrestrials and other findings with their telescope at the Vatican Observatory. They do this because first and foremost they want the truth before everyone else, but not only that, they want to use the truth to spin their own explanations. This is very similar to what the SCA is doing with the mysteries of Egypt. Could it be a Vatican controlled branch? It is very possible, but that is only speculation. Lets stick to the facts. The SCA on record has been responsible for a number of things including: slander, embezzlement, coverups and possibly more that no one knows about because they are a very tight knit organization. Sure they make public announcements but it has nothing to do with the truth. This has been proven in a number of news publications. Hawass is the untouchable ring leader of this group. The Supreme Council of Antiquities claims that it is an organization setup for the conservation, protection, and regulation of all archaeological excavations in Egypt. This to me seems that its basically setup to cover up, and lie about the true secrets of Ancient Egypt. Lets not forget that a lot of ancient magical and occult practices are rooted in ancient Egypt. If these secret society like goons know of such power, you best believe they aren't going to share that knowledge with the likes of you. Dr. Hawass is more of an administrator of this organization than he is a true archaeologist. One could say that if he was more of an archaeologist then he wouldn't be much of a useful administrator to the SCA. Dr. Zahi Hawass is a very controversial figure because he has been caught in bold face lies before. One of these lies was where he attended school. A. Robert Smith has said on record that he got Dr. Zahi Hawass a scholarship to attend the University of Pennsylvania for Egyptology. He got him a scholarship through a board member that was in ARE (Association for Research and Enlightenment). Hawass has denied this claim publicly even though it is a fact that he really did attend the University of Pennsylvania with a scholarship. Did he really think reporters and journalists wouldn't do the due diligence on this one? You know what I say, once a liar always a liar. Who knows what else he has lied about. It is obvious it doesn't bother him in the slightest to tell the most ridiculous lies ever. How did he benefit from saying he didn't go to the University of Pennsylvania? I believe that is very strange. 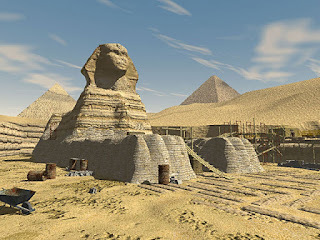 The Association of Research and Enlightenment (ARE) is very interested in the Giza plateau because it is believed that a "Hall of Records" is hidden underground near the Sphinx that holds the secrets of the lost civilization of Atlantis. 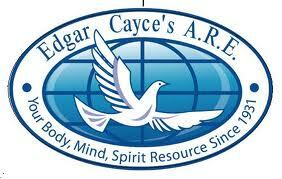 This claim was made by a man named Edgar Cayce in the 1920s. The Association of Research and Enlightenment is just another organization. The controllers of this organization is ARCE (American Research Center in Egypt). Surprised? You shouldn't be after all here in the United States we do have the all seeing eye and pyramid without a capstone on the back of our 1 dollar bills. You best believe that the Freemasons are well connected and seated within this organization. When doing research on this I suggest researching the agenda of ARCE, because ARE is a division of that organization. If you talk to people within the government of Egypt, they all hate Hawass. He has been flattered and corrupted by the American Research Center in Egypt. Hawass is their puppet. He furthers their agenda, and he helps to keep the secrets of ancient Egypt to the organization. According to the ARCE website, they are funded and controlled by the US Department of State. This means that not only do they do scientific functions, but they are also there for political reasons. This is the headquarters for all North American scholars in Egypt. Dr. Zahi Hawass knows something about the secret chamber below the Sphinx. He doesn't want anyone to find out about it, because it is the legendary "Hall of Records" left by the Atlantis civilization. It has been proven with seismic surveying equipment by a Professor of Geology from Boston. The real chamber is located 25 meters below the Sphinx's left paw. Hawass recently has drilled a hole 10 meters below the Sphinx, and he says he did this because he wanted to protect the Sphinx from becoming more damaged by rising water levels. He used this to discredit the facts about the hidden chamber. Too bad facts cannot be discredited. If he only dug 10 meters under the left paw obviously this isn't far enough. Of course, Dr. Hawass made it perfectly clear that there is no hidden vault under the Sphinx. He obviously is lying and I have the proof in the YouTube videos I am about to show you. It is obvious that Dr. Zahi Hawass is a plant by secret societies to hide the true secrets of ancient Egypt. His lies are profound, and he acts like what he says is scripture. This is the age of the Internet. Do your own research and see how deep the rabbit hole goes. Dr. Zahi Hawass is a fraud and a puppet of the Freemasons and Association of Research and Enlightenment. Please leave comments and let me know if I have left anything out. I never did like that man the moment I laid eyes on him, on tv some years back. He Hawass was telling the truth he would not be smiling so much. And look at the way he speaks - that sounds so abnormal - to pronounciate specific words, to pause like he does in his speech. It sounds so fake when I think about it. He is definitely hiding something. I know a bit about ancient Egypt myself. I lived in Egypt 10,000 years ago in a past life. Back then, Pharoah Tutenkhamen was ruler of the land. I was his personal body guard (I was a male in that life time) and the Pharoah was not the nicest Pharoah of any time. I know why his name, images, etc had been defaced for all time. I know what he conspired to do, but people would have a hard time believing me. About this Atlantean library underneath the Sphinx's left paw: My question is who left that record - the Egyptians or the Atlanteans? If it were the Atlanteans, then they must have survived in order to fill that library with knowledge. If it were the Egyptians, then I doubt it were them because the Egyptian Gods were not interested in "keeping records of other societies for the sake of knowledge". I know something of the ancient gods of Egypt, and I can tell you that even though most of them did indeed go home, a lot of them are still in Egypt today. Hawass will not get away with what he is doing because the ancient Gods do not like him nor the association he is with. These ancient Gods are beings that are in spirit form for the most part. They can materialize at will and can become flesh and blood when they choose. But they are NOT spirits. They are what we would call now, dimensional beings. They can be felt before they are seen. They can go anywhere on Earth, they are not confined to just Egypt. They are immortal and cannot be killed. What is happening in Egypt is angering the ancient Gods of Egypt, and they will take their revenge upon those humans responsible for their sacrilige behaviour. Thanks for your post Shirley. You wrote tons of information. As for the hall of records being buried by the Egyptians, or the Atlanteans I could not tell you. However, I know that many scientists have had there theories. I am no scientist so I am speaking of myths and legends that I have read about online. The hidden room does exist, and is under the Sphinx. The surveying equipment used does not lie. I am glad we can agree that Hawass is a liar with his own hidden agenda. I also believe that he is hiding even more than we can fathom. Love and light. I recently watched Nova’s Riddles of the Sphinx and this guy Hawass was a featured interviewee. He’s in just about every single Discovery channel or History channel documentary on Egypt. Seems like a very animated and enthusiastic guy. Next time I see him (ie, next time I watch a special about Egyptian anythings) I’ll have to pay closer attention. By the way, in the hour Nova special, I don’t believe they mentioned anything about the subterranean temple – very fascinating. Thanks for the info. Thank you Teodosius it took a long time to research, and write. I am glad you enjoyed it. Putting all conspiracies and new age ideas aside, when did it become obtuse to investigate ancient sites? when did it become completely crazy to think 'hey, these people may have built underground tunnels, let's attempt an investigation, one which does not do damage to the sites'...afterall, the ancient egyptians did build monumental pyramids. what is with this whole preservation and absolutely NO investigation idea begin? investigation is almost as important as preservation. I would have thought digging under the sphinx would have surely been done by now. it's quite surprising to think it hasn't even happened yet and they aren't even going to attempt it.